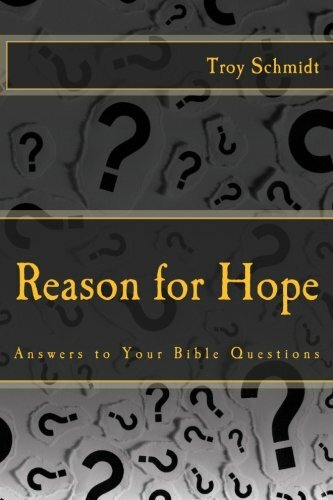 Reason For Hope: Isn't the Bible open for interpretation? Isn't the Bible open for interpretation? By INTERPRETATION, some believe that you can look at a verse in the Bible and apply whatever meaning you think is right. Peter, an apostle, and someone who walked closely with Jesus, didn't agree. He said that God's words cannot be mixed with the person's desire (human will). Since God spoke the words, then the meaning originated with God. 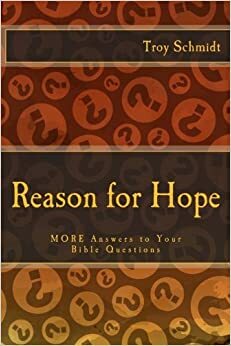 While there are some internal arguments within Christianity over certain passages and events—the days of creation, the scope of the flood, meanings of Old Testament prophecies, baptism by sprinkling or immersion, the role of women in the church, the number of times we must do communion, the interpretation of Revelation as a past or future prophecy, how the world will end—99.9% of the Bible is pretty clear to all sides. Christians believe in the existence of the people, the places and the events of the Bible and they don't really interpret them any other way. The words Jesus spoke were verified by four eyewitnesses. His death and resurrected witnessed by hundreds. Now some things we must keep in mind so that we can properly interpret scripture. CONTEXT - was the passage spoken within a certain event and is someone today lifting the verse out of context and applying another meaning. If I said the Bible says "God hates" I would be correct. However the verse came from Deuteronomy 16:21-22 - "Do not set up any wooden Asherah pole beside the altar you build to the Lord your God, and do not erect a sacred stone, for these the Lord your God hates." The context of the verses says that God hates false idols, not that God is hateful. GENRE - the Bible is a multi-faceted book that expresses itself through history, poetry, biography, apocryphal prophecy, warnings and encouragement. You cannot take the poetry literally and you can't interpret the history poetically. You have to know what is being expressed and how. Psalm 91 talks about God's feathers and under his wing we will find refuge. Does God have feathers? No, it's a poetical expression comparing a mother hen and her chicks to God and his people. CULTURE - certain passages are addressed to certain cultures at certain times in their history. Women were treated differently and needed to behave in a certain manner in that first century culture. That has changed today. While the principles may apply, the limits of what is acceptable and not-acceptable may have changed.